NGOs must act in concert, consolidate, and engage the business communities they are trying to police and protect. For all the progress some member nations have made since the United Nations General Assembly adopted the U.N. Convention Against Corruption (UNCAC), there is no talk of victory - yet. In most cases, including in countries that have ratified the convention, the efforts of state authorities to curb corruption have yet to yield any tangible results. In other nations, experts think that corruption is growing. It’s clearly time for business and civil society to join together much more seriously, in solidarity, against corruption. The “World Without Corruption” program (full name: Collaboration between Civil Society and the Private Sector to Advance the United Nations Convention Against Corruption: Progress Through Synergy) developed by our organization promotes participation in advancing the UNCAC. The program is different from other initiatives because it aims to prevent the possible involvement of businesses in corrupt schemes at the onset rather than simply punishing violators of the law. Our mission is multi-pronged, but it involves NGOs taking a hard look in the mirror and engaging just the businesses we hope to police and protect. First, NGOs have to look inward, since activities tend to be uncoordinated and many NGOs do not know about each other’s existence. As a rule, the anti-corruption activities of NGOs are restricted to assessing existing levels of corruption—rather than real steps to decreasing it. The negative and critical bias that has prevailed in the anti-corruption activity of NGOs makes it impossible for businesses and others to openly participate in such activities, further limiting the resource base of civil society institutions and reducing their potential. At the same time it is the private sector organizations that become victims of corruption and they suffer the most damage. Corruption deforms markets, limits fair competition, hinders business planning and lowers potential profits. In corrupt markets companies are forced to adjust—through kickbacks, for instance—in ways that undermine the social legitimacy of business. Perhaps most ignored in the efforts so far is the fact that the business community is the main and natural ally of civil society in their fight against corruption. In recent years, private financial support for anti-corruption activity on an international scale has been limited to guilt gifts: Funding from private corporations is most often a public effort at redemption after they have been punished for corrupt schemes. A company in such a situation is interested in successfully reporting on the funds spent in order to settle out of court. In turn, those civil society organizations that are recognized by the controlling authorities get funding from these companies to implement rather timid and ineffective projects that do not have much practical value. At present time the anti-corruption activities of the private sector are primarily channeled in two directions: financing the rather tame activities of some NGOs and implementing internal controls procedures. And as it stands now, NGOs are not often held accountable for what they do with large donations. To effectively fight corruption, each business entity should have the opportunity to participate in funding specific anti-corruption projects that meet the company’s interests and experience. The company should not only have the possibility to fully control the use of allocated resources by the respective NGO, but to participate in the project independently or with the NGO to realize selected stages. No company should be regarded by NGOs as a cash cow with no voice. It is quite clear that to develop such an approach requires new mechanisms and technology to interact between these social forces and to correct existing views and opinions on such interactions. However, the time has come to act. Our organization has developed necessary mechanisms and technology that have been tested in the field as projects over the past six years. One of our success stories comes from a particularly corrupt sector of the economy – construction. In the northern Russian city of Syktyvkar, we signed an agreement with a building company to establish independent expert oversight of each phase of the construction process. The price of a square meter of real estate within the building in question decreased from around $2500 to $1000 (!). We also established the All-Russia Competition For Exposing Corruption in Media, which has brought 400 reporters from all across the country to receive awards in Moscow for investigative journalism that uncovered cases of corruption. This competition is critical to our efforts because media – as the major platform for dialogue between the state and ordinary people – plays the most important role in fighting corruption. It has also become clear that so-called compliance systems that have become an integral part of the corporate policy of large companies—code of conduct, internal controls and staff training – do not in and of themselves decrease corruption, whether they are done in-house or with expensive consultants. First of all, anti-corruption compliance systems are designed to ensure the integrity of middle and low management levels and to exclude their potential for corrupt activity. However, in highly corrupt markets it is through these services that most corrupt schemes are realized. Anti-corruption compliance systems are useless when top management uses corrupt methods. Instead of further complicating anti-corruption compliance systems, simpler and less expensive technology could be utilized to counter corruption. The basis for such technology should be a mutually beneficial system that has been carefully thought through with anti-corruption NGOs. Based on the practical experience of the Interregional NGO Committee for Fighting Corruption, one can say that no corporation can reliably and effectively withstand the pressure of corruption alone. Included in the fight will be anti-corruption NGOs and all other civil society institutions including academia and journalist unions, arts and culture associations, schoolteacher and professorial associations, labor organizations, religious associations, consumer unions and community-based organizations. Academia could provide in-depth research and explanation for the causes and mechanisms of corruption. The journalistic community has significant influence over public opinion and therefore should make all efforts possible to spread information not only about specific cases of corruption and investigations of corrupt individuals but also about any even moderately successful cases of countering corruption on the part of average people and private sector organizations. Religious associations can play an integral part in ethical opposition to corruption. Condemnation of any corruption should become a moral norm. Labor organizations are not fully involved in the worldwide fight against corruption. Unions have significant resources and political influence that could seriously impact reductions in corruption. In particular, they can motivate private sector organizations to refrain from any forms of corrupt practices by actively supporting such a refusal, consider the interests of parties involved to implement anti-corruption corporate procedures and to exert pressure on those companies that use corrupt methods. This could be done by also including anti-corruption provisions in labor contracts and by striking and boycotting certain employers. Consumer unions and community-based organizations can influence the positions of some companies in specific markets depending on where those companies stand in their war on corruption. The coordinated efforts of these organizations could substantially impact the profitability of such businesses. At the same time it has been proven by experience that none of the social forces can be successful when individually fighting corruption. Only consolidation and, to the extent possible, coordination of joint efforts on the basis on constant information exchange can provide the required synergies. Even a small number of organizations and the effect of their coordinated actions can greatly exceed the focused efforts of the separate activities of a larger number of anti-corruption projects. 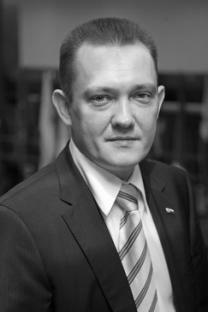 Anatoly Golubev is Chairman of the Board of the NGO Committee for Fighting Corruption and steering committee member of UN Global Compact Network Russia.